Beautiful quilts and beautiful pictures! The snow backdrop really makes them glow! The photography is great, I love your quilts more. These look great! 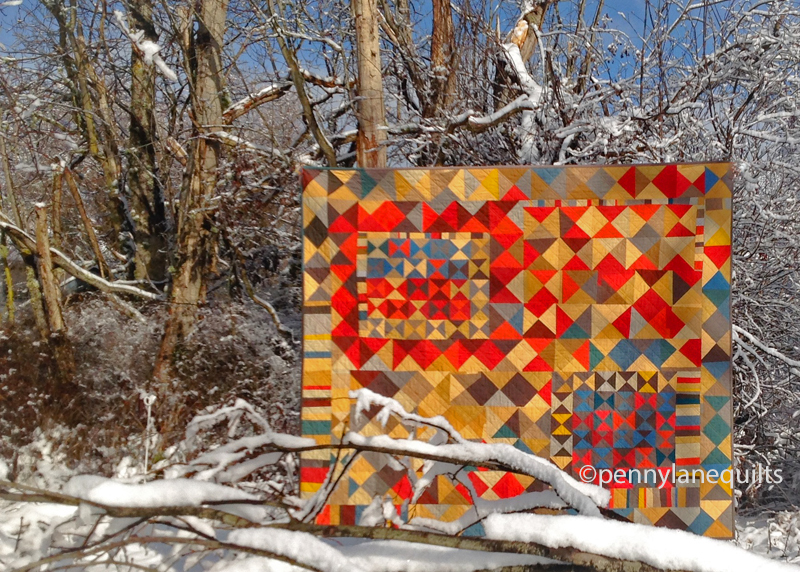 Love quilts in the snow. 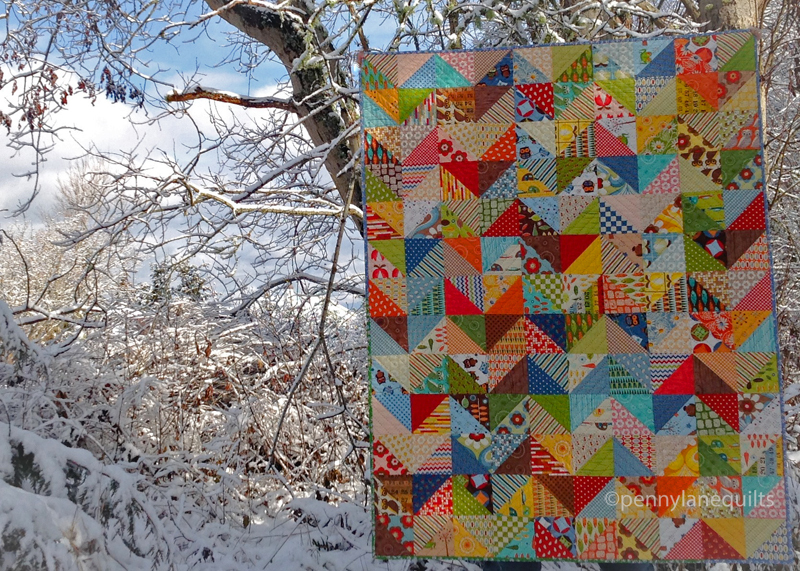 Your quilts glow against the snowy backdrop. I love the local articles that run about quilters with their work in the QuiltCon show, and what a treat that they sent over a local photographer to capture you in your natural environment! Lovely quilts and great pics too. 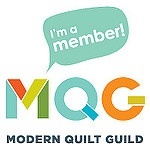 Happy almost Quiltcon! Good luck at QuiltCon. Enjoyed reading the article in the paper. Lovely pictures, I really like how the white background makes your colors pop! Very nice quilts. We never get enough snow for these wonderful contrast photos. Great job. We don’t get much snow, and what we do get usually doesn’t stick around for long, so it was fun to get out and take a few photos. 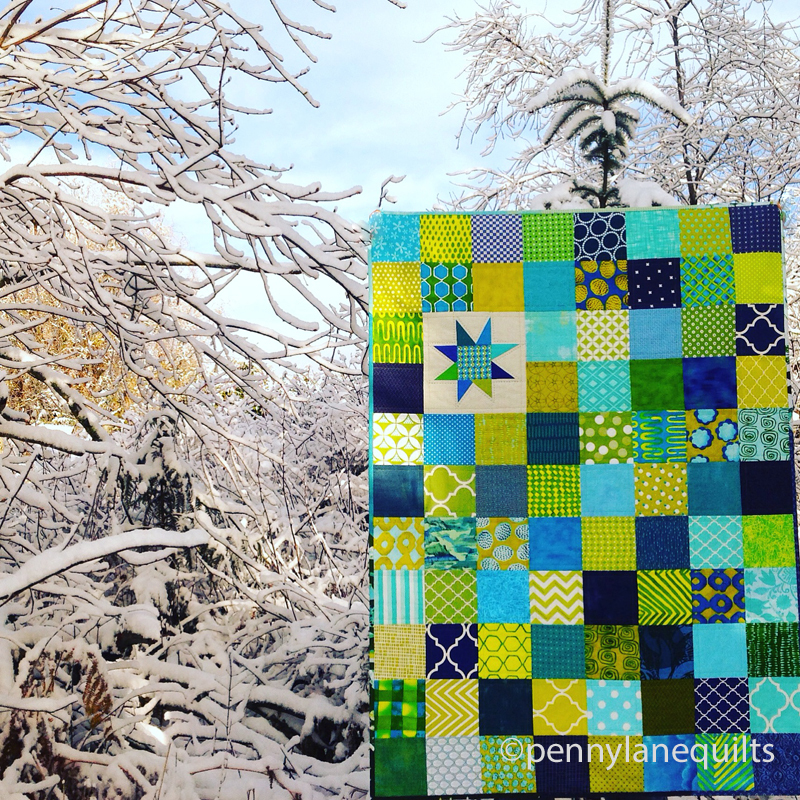 Wow, some spectacular quilts and the snowy background really does make the colors pop in all of them. Love the one with the star, so bright and crisp and your hand dyed fabric quilt is just luscious. love the pattern. take care from Iowa found your blog from handwrought quilts.